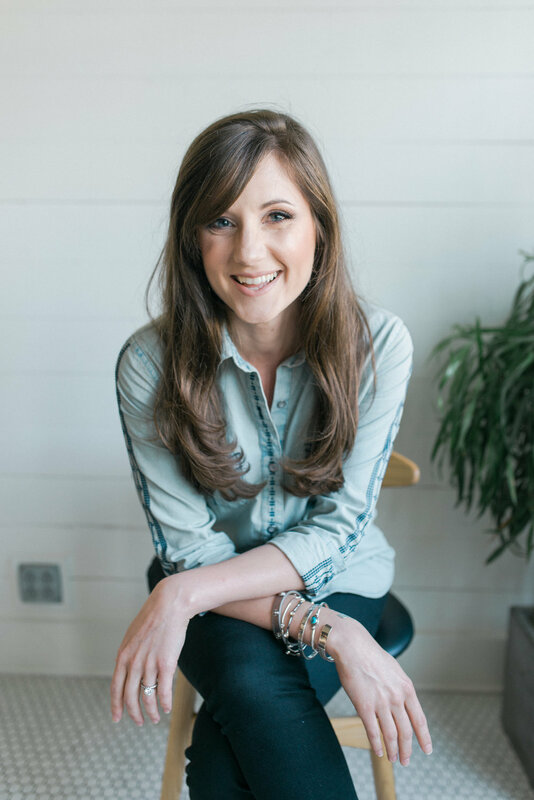 Last summer, I partnered with my friend and food blogger, Callie of Luv Cooks, to bring you an essential kitchen tool, the chef's knife, and a spicy sweet tofu stir fry recipe. As someone who doesn't eat much tofu or stir fry, I loved this dish! In January, Woody and I were limiting sugar and eating lots of veggies, and I decided to experiment a bit with this recipe. I'm certainly not claiming to have the culinary chops to compete with a kitchen-savvy wonder such as Callie, but I wanted to share my take on the recipe because its a great, simplified option if you're looking for something with fewer steps and ingredients. This simplified stir fry has become a staple in our house. Woody loves it, it's healthy, it makes good leftovers, and it's easy to make. Trust me, as someone who is still learning my way around the kitchen, when I say "easy," I mean EASY. Start cooking the rice. Get the rice to the "simmer for 20 minutes" stage and then go to the next step. In a small mixing bowl, whisk together all of the sauce ingredients, then set them aside. Heat a large skillet over medium-high heat, add oil and swirl to coat the bottom of your pan. Then add veggies and toss to coat. Cook for 5-7 minutes, stirring often. When the vegetables have some color and have softened a bit (just feel them with your spoon or spatula; they should have some "give" to them), add the sauce, and stir. It should bubble and thicken. Cook the mixture for 3-5 minutes, stirring often. When veggies are cooked to your preferred doneness, remove from heat. Scoop cooked rice onto plates, add salt and pepper, and flatten. 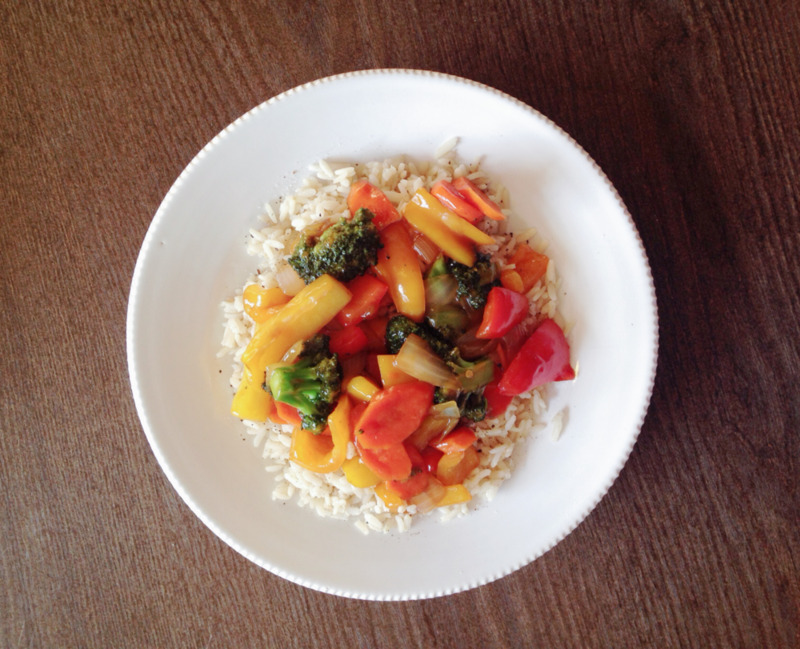 Spoon veggies onto rice and serve your delicious, simplified meal! What are your favorite easy, go-to recipes?